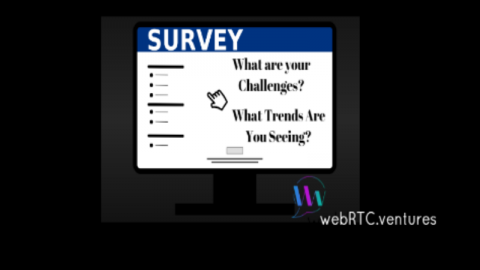 As part of the 2016 TADHack Global, a few members of the WebRTC ventures team submitted a hack from New York City – and we’re pleased to say they won a prize! David Alfaro, Néstor Bermúdez, and Germán Goldenstein from our team built a multichannel bot to demonstrate the possibilities of virtual medical assistants. Also joining the team to help on the front end work was Juan Ignacio Serra, a New York based designer and developer who joined our team for the weekend hackathon. 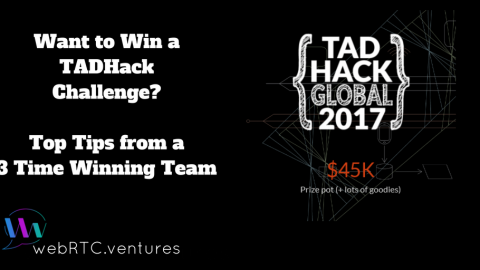 Here is the presentation they made for TADHack Global on their Virtual Healthcare Triage application. 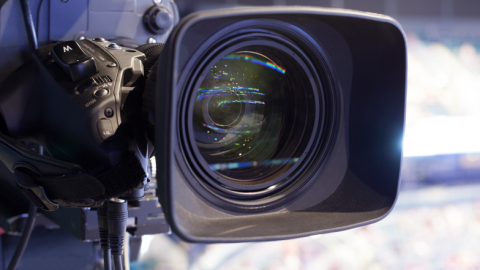 The application was built using Tropo and VoxImplant in order to add SMS/telephony integration and a WebRTC based video/audio communication channel. 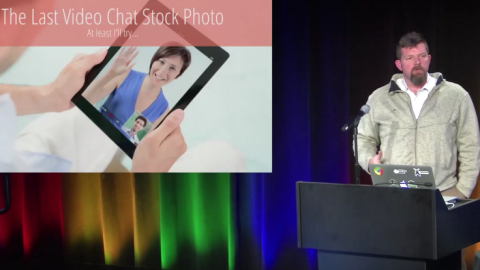 In addition, the team used API.ai for a natural language bot interface that worked with Facebook Messenger. One of the nice things about their demo is how the user transitions across the different channels seamlessly, for example from Facebook Messenger to SMS. Because the bot knew they were using the SMS channel, then the bot sent the user a phone number to click on in order to reach a doctor. 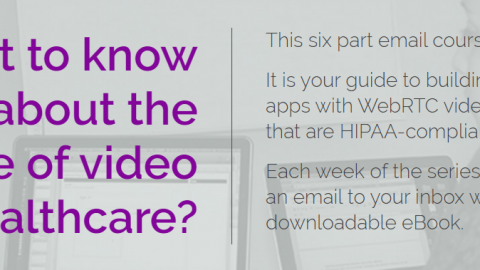 During that call, the doctor and patient decided to schedule a video call at a separate time, and so the patient chooses a time and a link for the WebRTC call is sent for use later. And of course, a traditional in person appointment could still be the result of all this! 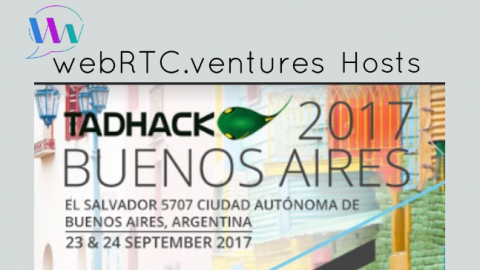 The team was among other TADHack 2016 Global Winners, winning the prizes from Cisco Spark/Tropo and the also the global prize from Voximplant. Congratulations to Germán, Néstor, David, and Juan! You can see additional demo videos of the hack below that show a closer up view of the different views of the application. 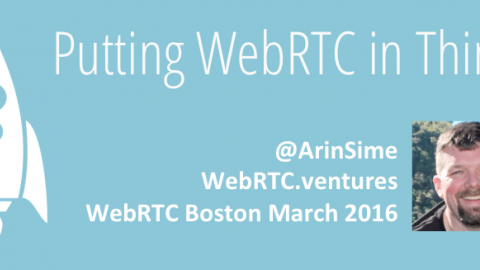 Are you interested in building something like this for Unified Communications or healthcare? Contact our team and we can build it for you! 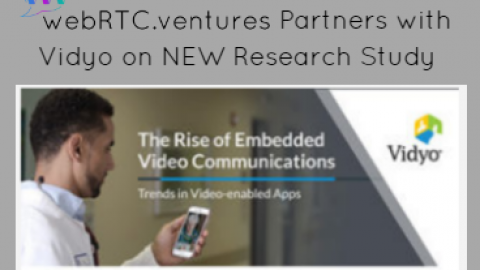 WebRTC.ventures Partners with Vidyo on a NEW Research Study: Highlighting Key Trends in Embedded Video Adoption!